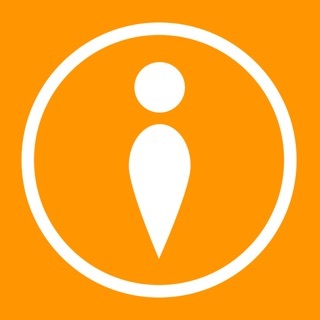 The Core of Instacast 5 finally available again. Instacast Core is a traditional podcast player that handles everything on your local device. iPhone, iPod Touch or iPad on iOS 9 or higher required. Fixes scrolling issues on iOS 10. The features of this app feel like it is tailor-made for me. It fixes a lot of annoyances of other apps with the ability to tune exactly how system skip buttons work, or manage how much storage is used. I have encountered only two issues: the resume can be a little finicky from the home screen or headphone remote, and it seems to have trouble auto-playing a podcast. Overall works well. I came here looking for bookmarking capability and it delivered. I have used Instacast for years and since it has been redone some months back it's turned to junk. I used to be able to download multiple episodes and would have them there for days waiting in the que now I download episodes and it can't even keep them for more than 5 minutes. If anyone can tell me what the issue is and how to fix it I would change my rating. But I would say for a podcast app that's the most appealing thing. To have the ability to download episodes so when your driving in and out of service your Not relying on the streaming option. This app is super frustrating! I was really happy to see a new version of Instacast in the App Store, as I use this app every day! I really want to love this app but it has several serious issues that are very frustrating. The worst problem is that it frequently loses the place that you were at in the Podcasts that you have started listening to, so I find myself wasting far too much time trying to find where I was in a podcast. Sometimes it remembers but often not. My other complaint is with the "queue". The old application could simply play the next item on your unplayed playlist. Now you have to add items to a queue which is more cumbersome to manage than it should be. I frequently use the app in my car to listen to podcasts, and the combination of these two issues makes for a lot more unnecessary fumbling around with the app!